My family and I like to go on bike tours as soon as we arrive to a new city. That way we get a general idea of what the place is all about before we start exploring. That is exactly what we did during our trip to Barcelona, Spain and ended up being a great experience. 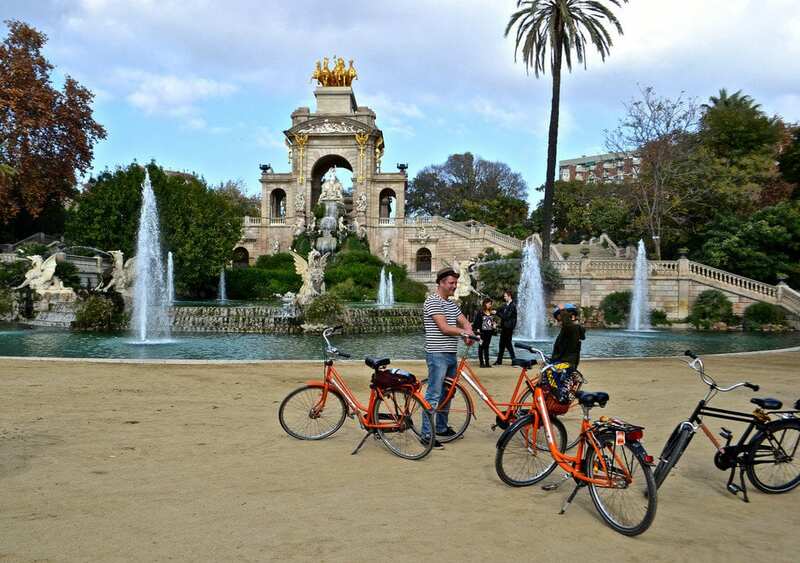 We also got to learn tons of interesting and historic facts of this amazing city on our Barcelona City Bike Tour. Barcelona is so huge that it is hard to decide where to start when you plan a visit. My family and I have developed a method that allows us to get to know a new place in a quick and fun way. The first thing we like to do is to go on bike tour along the city. But even that plan can be quite challenging because most of the companies I have contacted for the different cities we have visited don’t offer bikes and equipment for kids younger than sixteen years old. Small bikes and chairs for kids aren’t widely available. The good thing was that Barcelona had tons of bike operators to choose from. At first I had trouble deciding where to start but I loved having so many options. 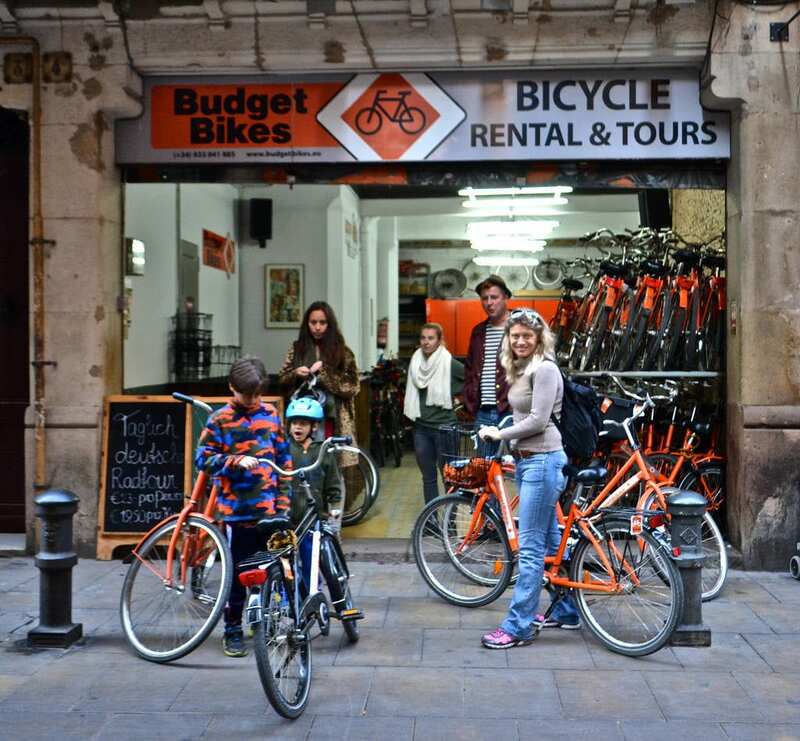 My first search was for ‘Family friendly bike tours in Spain’ this took me directly to Baja Bikes. I searched for a few more key phrases and it kept popping out at the top of the searches for Barcelona city bike tours. I had to check out the website! Here is what I learned about Baja Bikes: It is a European company that deals with a lot of other reliable bike outlets for rentals and tour. That way you don’t have to go through all of the companies; they do the filtering for you according to your needs. Amanda was the name of the staff member who took care of my requests and questions. I explained to her all that we wanted, the ages of my kids and the importance of their safety. She took care of everything. The place she referred us to is called Budget Bikes. It is located in the gothic area of the city. 1. 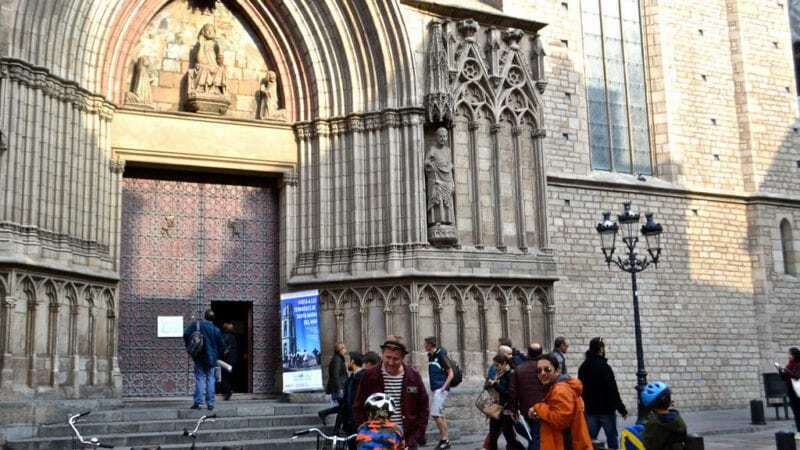 This is the oldest part of Barcelona so there are historic facts to be learned at every corner. 2. It is right in the middle of everything! Anything else you might want is close. 3. I found it pretty easy to get around without getting lost. It was great to be able to finish the tour here and head out to continue discovering the city from here. We discovered that Barcelona isn’t as easy to go through on a bike as we thought it would. In the end my sons did amazing and our guide made a great job at keeping us on pedestrian streets, off of the busiest streets but we still had to go through a few busy sections. The city was founded by the Romans who set up a colony called Barcino at the end of the 1st century B.C. At first the colony was bounded by a defensive wall. There are parts of it that can still be seen. Barcelona was under Muslim rule for over 200 years. After the Christian re conquest Barcelona became a county of the Carolingian Empire. Back then this was one of the main residences of the court of the Crown of Aragon. Barcelona became the economic and political center of the Western Mediterranean during the medieval period. There are still tons of buildings from that golden age (13th to 15th centuries) that can be seen in the city’s Gothic Quarter. From the 15th to 18th centuries Barcelona entered a period of economic decline. In 1714 after a battle the city fell to the Bourbon troops and Catalonia’s and all of Catalans’ rights and privileges were suppressed. Then during the mid-19th century a period of cultural recovery began due to the arrival of the textile industry. This period is known as the Renaixença. The 20th century was an important century for architecture in the city. 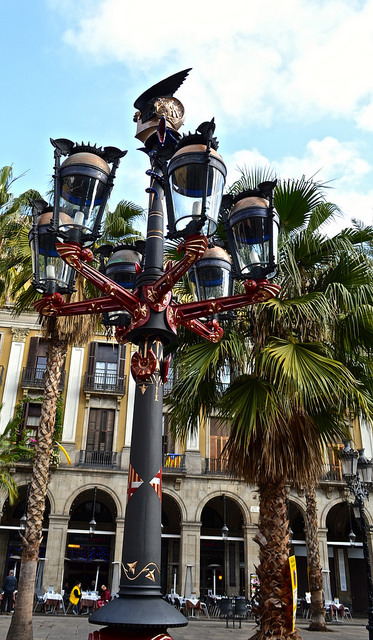 It saw tons of structures being built with Barcelona’s most distinctive Catalan art-nouveau, or modernista style. The Catalan Antoni Gaudí, one of the most eminent architects of its time in Europe, designed iconic buildings such as the Casa Milà (known as La Pedrera, the Catalan for stone quarry), the Casa Batlló and the Sagrada Família church, which have become world-famous landmarks and is still under construction. Then the people from Barcelona suffered greatly when they got their rights were severely restricted again during the Civil War in 1936 and the subsequent dictatorship. With the reinstatement of democracy in 1978, Barcelona society regained its economic strength and the Catalan language was restored. The city’s hosting of the 1992 Olympic Games gave fresh impetus to Barcelona’s potential. Barcelona is home to one of the most famous and successful football clubs around the world, FC Barcelona.